Thank you MySpace NYC for sponsoring this post. With Daylight Savings beginning on March 8, and the arrival of Spring on March 20 (can you believe it?! ), change is certainly in the air. The days are getting longer and temperatures are heating up (or at least so we pray! ), and the upcoming six months make up for the busiest time of year for real estate brokers like MySpace NYC. And that means job opportunities for you! Perhaps you've been thinking about a career in real estate but weren't sure where to start? Lucky for you, MySpace NYC, with its offices in Crown Heights, Bushwick, Williamsburg and coming soon to Lefferts Gardens, is hosting a careers open house on Tuesday, March 10th from 6-9PM at Franklin Park, a bar located at 618 St. John’s Place, between Franklin and Classon, in Crown Heights, Brooklyn. 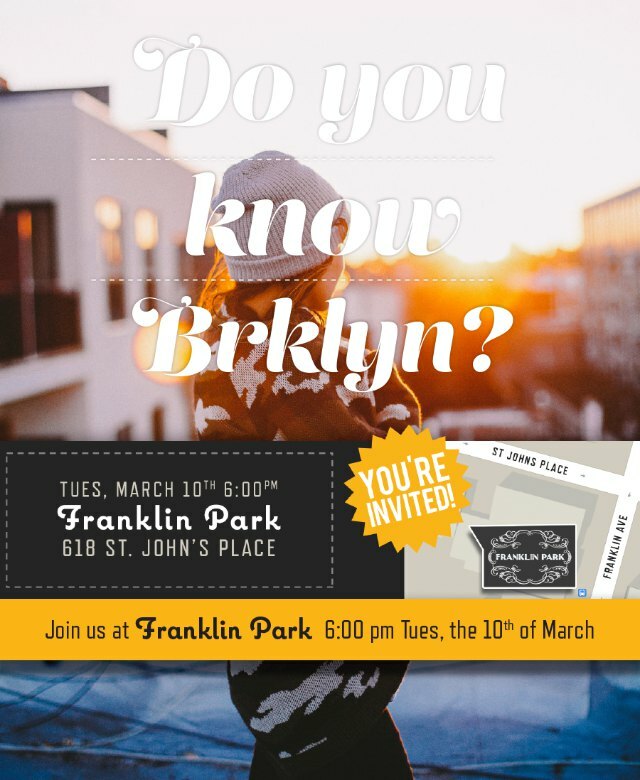 At Franklin Park, you'll have the opportunity to meet MySpace NYC recruitment managers and some of their current agents, all of whom will be happy to share their experiences working at MySpace NYC and answer any of your questions. It doesn't matter whether you're a seasoned real estate agent or someone new to the industry, MySpace will provide all the support and training you need throughout the hiring process. You're welcome to arrive anytime during the open house. Light snacks and drinks will be served. For more information, please visit the MySpace NYC careers page or call 1-800-416-5070. While there's no need to RSVP, please click on and share their Facebook event page.